Nick Offerman is one of the most talented actors working today. Adept at deadpan comic delivery – a talent enhanced all the more when he’s acting opposite his immensely-funny life partner-in-crime Megan Mullally (they played ex-husband and wife Ron and Tammy in Parks and Recreation) – and deft written raconteur whose books Paddle Your Own Canoe, Gumption and Good Clean Fun are a delight to read, he is seemingly able to lend himself to a whole host of things and excel at every one of them. 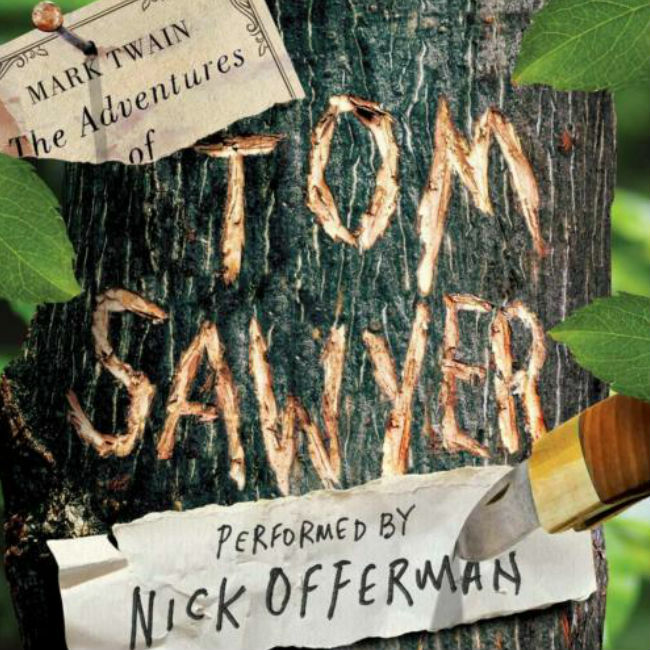 Given the iconic nature of these beloved novels and particularly the character of Tom Sawyer, you can well understand why Offerman is thrilled to be reading The Adventures of Tom Sawyer out loud for the world to hear. He is the perfect choice to take you back to St. Petersburg, Missouri, a million all-too-pleasant and life-shaping worlds away from your daily commute which if it’s anything like mine is nowhere near as carefree or fun as you’d like it to be.